Garbage is a rare subject at your average cocktail party. But in Washington DC, trash — or the cans it goes in, at least — is a trending topic. It started with the rush delivery of more than 200,000 shiny-new cans before the city’s primary election. That led to the odd problem of trash can proliferation, with old cans waiting weeks to be picked up and streets and alleys overflowing with extra bins. Then there was the arrest and lockup of a little-known District artist for trying to repurpose (as flowerpots) several of the old cans that had been plastered with “Take Me!” signs. And the city’s overcorrection of the languishing can problem, which officials dubbed a “blitz” — cleared away not just unwanted cans, but even some recently delivered ones. And now, it turns out that the city has not been recycling thousands of the cans, as the administration of Mayor Vincent C. Gray (D) had promised — but chucking them instead. 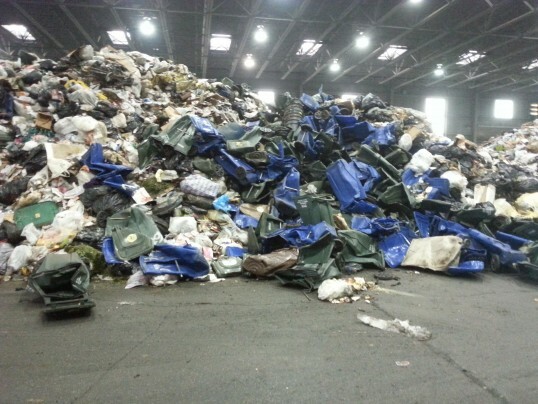 City officials admitted that sanitation crews dumped at least 132 truckloads of plastic bins — a third of the more than 16,000 old cans collected— alongside city waste and hauled them all off to Virginia to be incinerated. This episode presents a setback to the District’s effort to reinvent itself as a well-managed city after decades of complaints of dysfunctional services. “Trash-CanGate” is the byproduct of a badly initiated and badly run program. The $9 million program was to replace every city trash and recycling receptacle for the first time in a decade without a plan in place to collect the old ones. Many of the new cans were delivered in the two weeks before the April 1 Democratic primary. They came with “Take Me!’ stickers to affix to old, unwanted ones, but the city had no plan to retrieve them. So, Public Works Director William Howland responded by ordering a “blitz”, telling crews to pick up any can left on a sidewalk or in a public alley. But as the effort sped up, residents across Northwest reported seeing not the flatbed trucks that had been carrying away the old cans, but D.C. garbage trucks, which swallowed up and compacted the cans as if they were the week’s trash or recyclables. The District has a contract to return unwanted cans to the manufacturer in North Carolina. But the process is labor-intensive resulting in the city delivering about 26,500, less than half of the total 71,000 cans collected. With Mayor Gray advocating for a sustainable D.C., this was certainly a disappointing story to tell. This entry was posted in Going Green and tagged Sustainability, Trash Cans on June 23, 2014 by Lisa Giovannielli. From a business perspective, there is an enormous opportunity to save money with a proper organics management process. Large volumes of food waste are disposed of each day, which is why when organics are managed and then analyzed great opportunities abound. Governments are finally recognizing that in order to achieve success with their ambitious recycling goals those goals must include organics. States like Massachusetts, Vermont, and Rhode Island, and cities like New York City are going about it the right way, by focusing more on the commercial end where the most tonnage is. There will be challenges that will need to be overcome. The marketplace for the landfill-diverted waste is immature, recovery sites are not widespread and in some cases virtually non-existent. Government laws and regulations are inconsistent, and collection, processing and marketing aren’t as well thought out as they should be. For those states and cities forging forward alternate disposal methods need to be sought out. The Eco-Safe Digester is a reliable and easy-to-operate aerobic digester that eliminates food waste on-site. It requires no third party to dispose of the food waste, requires no on-road transportation, and more importantly is the only diversion solution that delivers information about what is wasted in order to prevent it altogether. While there is not one solution that will work for everyone, companies should be shopping around for an end-to-end solution that works best for them. In the meantime infrastructure development will likely start picking up speed because of the effects of the recent government policy decisions. 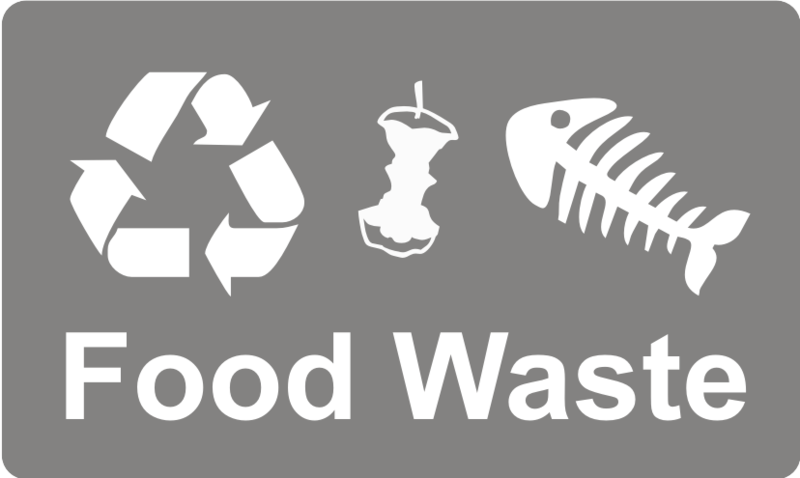 This entry was posted in Technology and the Environment and tagged Food Waste Data, Food Waste Diversion, Food Waste Policies, The Eco-Safe Digester on June 16, 2014 by Lisa Giovannielli.